Denise at the library really really loves her coffee. She subscribes to Biggby ( a local Michigan coffee chain ) to receive her discounted coffee coupons and she likes to read what Biggby Felicity likes to write. Well, this weeks bit really caught her attention. I always say that I would love to be an eternal student. I enjoy learning all types of information about people, places, history – even entertainment news (OK, entertainment gossip – my strong suit trivia wise). Books, whether fiction or non-fiction, have always provided me with a means to get the information I crave, and it is with this enthusiasm I tell you that…in April many years ago the First Public Library Opened…YEAH!!!! Libraries are fabulous! I would consider them the fifth wonder of the world. Think of all the history and knowledge under one roof. Where else can you find information to all those perplexing questions? You can learn about memorable history and the people that were an integral part of that history. 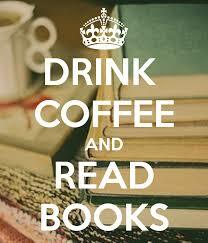 Or you can simply go enjoy the quiet environment and read ( or as I like to do – people watch ). Libraries are available to everyone, and what makes them amazing is that everone is afforded access to the same wonderful knowledge for FREE! So, go increase your brain capacity! It’s cool to B smart! Follow me on Twitter at @BiggbyFelicity! B my friend on Facebook at Biggby Felicity! If you would like to view the email (and get the coupon), visit the site HERE. And consider using that great coupon to enjoy a special drink (or muffin) as you read a scrumptious book (or magazine for you entertainment gossip sorts). It’s a great time to read a book for our Spring Reading Challenge! Read a book where the main character’s name is the name of a flower. Fill out a flower for each book read that fits this criteria! More information is in the library for you. With the arrival of spring we thought we would share with you a spring song from the movie (based on the book) Lost in the Woods. By now, most all of you are well aware that the bridge is out in Martin. What used to be just a quick drive is now a long, winding, dirt road drive. And while that may be pleasant in the summer, icy roads make that more dicey. We are trying to make the best of it all. Might as well since the bridge will be out until June. But we did get to giggling to think that if we could jump the bridge like the Dukes, it would be a lot more fun. Pretty sure the police would be on our tail if we did, and pretty sure we don’t have a General Lee that could make it, and pretty sure the police force would know how to make the jump after watching all those episodes of Dukes with us. So, jumping the bridge is pretty much out. But it was still fun to giggle about. 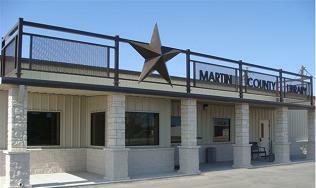 Did you know there is a Martin, Texas? There is. We even checked out their library online…. Do you think they will notice if this entire town of Martin, Michigan just transplanted ourselves to their Martin, Texas town? Here is a Friday Funny embarrassing story for you all. When I (Denise) first started working here, I noticed a lot of Lisa McMann books here. I am someone who cannot handle scary movies or scary books so her books sorta freaked me out (not going to lie) and I could not figure out what all the buzz was about her. Well, Alicia loves Lisa McMann because she likes her books and because Lisa McMann had dedicated a book to us here at the Library! Seriously! She actually sopped in to visit us way back in the day when the library was here but only half it’s size. I still have not read a single one of Lisa’s books all because of one embarrassing day. Her book Cryer’s Cross had just released and, yes, Alicia had it. I figured I should know something about it so I looked up Lisa’s website and there was a big promo for Cryer’s Cross. As I was sitting there feeling all scared suddenly my computer says in the freakiest scariest whisper “Heeeeelp Meeee”. I nearly flew out of my chair. A patron was sitting at a table directly across from me. “Did you hear that?” I asked, totally freaked out. Alicia began laughing hysterically. She cannot tell this story to this day without laughing hysterically. I cannot look at that book without hearing that haunting voice. And Lisa McMann may be awesome, but I still cannot read one of her books. And that’s your Friday Funny for today.